The new month of May has seen Hadleigh old fire station begin showcasing films and historical documentaries as part of their newest exhibition. 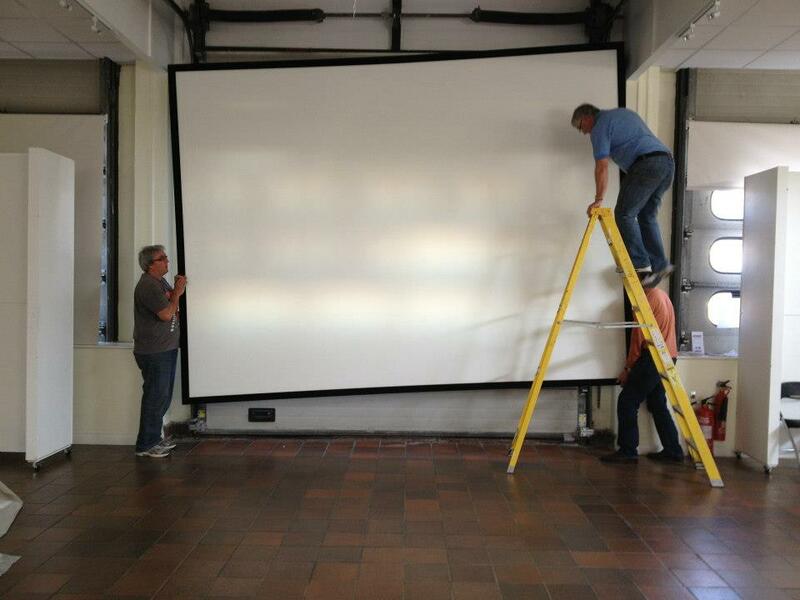 The fire station’s Appliance Hall is currently the base of the temporary cinema, where there will be a range of screenings taking place over the coming weeks. The first screening took place on May 2nd; Mat Do’s Lead/Light screening based on Hadleigh residents and their link to the East end. If you didn’t get to see it, don’t panic, as it will be shown again on May 9th and May 24th. Ben Eastop, Manager of Estates and Regeneration for ACAVA said “The fire station has become a real focus of art and culture in the town which previously didn’t exist in Hadleigh”. The Hadleigh Fire Station reopened as an arts and community centre in 2011 and since the revamp artists and community groups from across Essex have been competing for studio space. Barry Andrews, oil painter, is just one of the artists using the venue’s impressive studio space. He said: “This is such a brilliant facility. There is a real community here and bond between the artists”. Those of you interested in viewing come of Hadleigh’s finest cinematic footage, screenings are in fact free, but booking is a necessity. In order to book a place at any of the screenings, contact Ben Eastop on 07811 824 165 or email at beastop@acava.org.